One of the currently well accepted approaches for development of service-based systems is using service-based applications comprising three layers, namely business processes, realized by service compositions, which in turn orchestrate available services. Service compositions typically utilize the process-oriented approach, where the workflow technology plays a major role, and Web services are the widely accepted technology for service implementation. Service compositions have been enabled by the software products of all major industry players and employed in many business related application domains. The technology is mature enough for use in application systems of critical importance for enterprises. The need of service-based systems to react to changes in the environment is a relevant research topic for both industry and academia. The talk’s focus will be on adaptation for service-based applications and will report on adaptation triggers and approaches for adaptation resulting from our research. For example, adaptation triggers like fluctuations in QoS characteristics on the level of service compositions or KPI violations on the level of business processes will be discussed. In addition, approaches for modifying service orchestrations or choreographies, based on fragmentation and aspect-orientation will be shown. Furthermore, the term “workflow” is widely used in the area of scientific computing, experimenting and simulations. In the Cluster of Excellence SimTech we are employing process-based service compositions and choreographies to enable scientific simulations. This domain imposes additional requirements on the approaches for adaptation of service-based applications. A short overview of our research in this direction will also be given and the advantages pointed out. 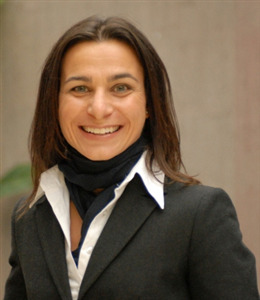 Dimka Karastoyanova is a junior professor in Simulation Workflows at the Institute of Architecture of Application Systems (IAAS) and in the Cluster of Excellence SimTech, at the University of Stuttgart. She received her doctoral degree from the Technische Universtität Darmstadt where she was a researcher at the Database and Distributed Systems Group. Her major research interests are in the fields of service-based applications, workflow technology and service compositions, middleware, flexibility of service compositions for various application domains, including scientific and manufacturing workflows.